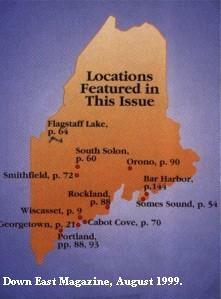 Where the Heck is Cabot Cove, Maine? 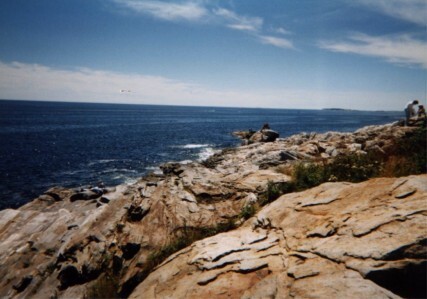 In the series Cabot Cove's exact location on the Maine coast was never fixed, and it tended to shift around according to the writers' whims, kind of like a modern day Brigadoon. 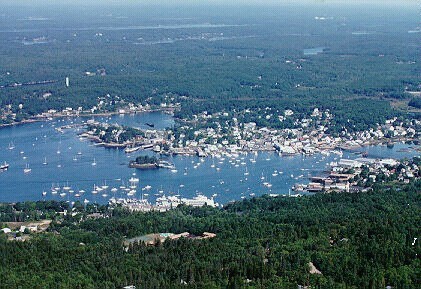 The names of other Maine towns - some real, some made up - get tossed around with abandon. 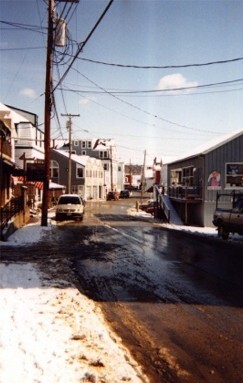 Although hints are sprinkled throughout the episodes set in Maine - a mention of how long it takes to drive to Portland, for instance, or the mileage between it and New York City - they seldom agree. 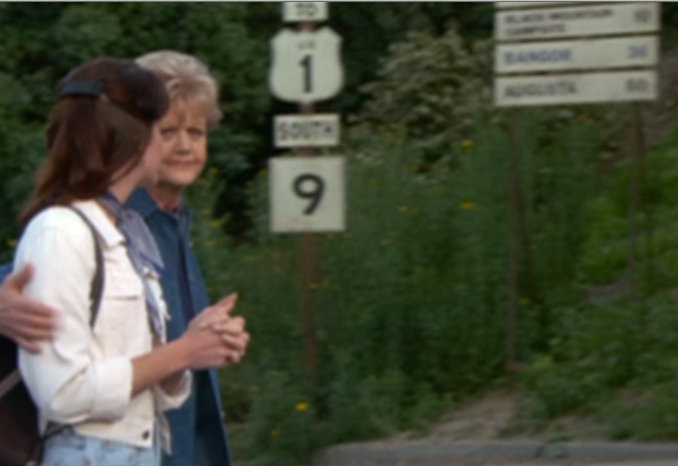 Two episodes even briefly show sign posts grouping Cabot Cove with the names of several other real towns in Maine, but the sign posts contradict each other. 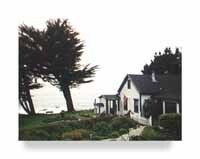 It should be remembered that these details were generated by people in living in California, not Maine, and as such they can't reasonably be used as a map. 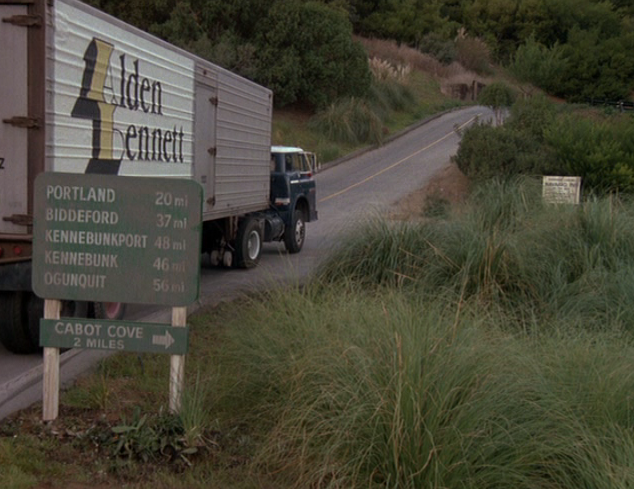 The exact location of Cabot Cove is, in the final analysis, a little continuity flaw that is best overlooked. 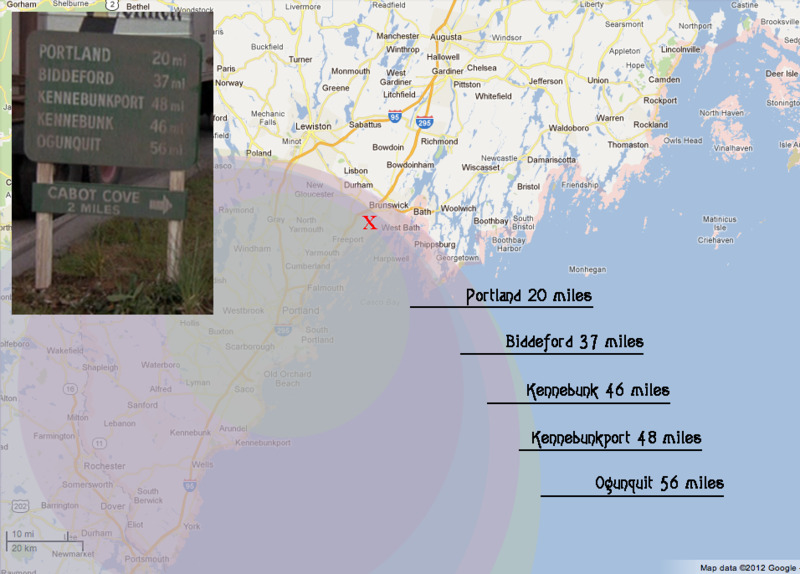 If one were to try to piece together the evidence, where in Maine would Cabot Cove most likely be? 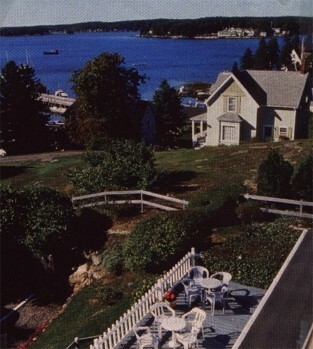 Balancing Act: In Chapter 18 on page 261 of Martin Gottfried's authorized biography of Angela Lansbury, Balancing Act, it is stated that the producers based Cabot Cove on the real town of Castine, Maine. 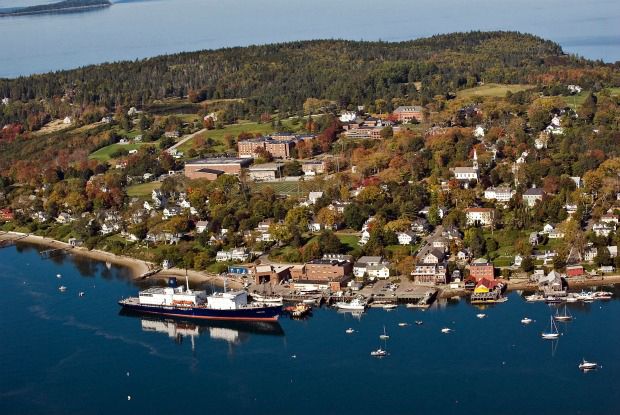 This is all well and good, but I've been to Castine, home of the Maine Maritime Academy, and this town, which has a very strong identity of its own, doesnt much resemble the Cabot Cove of Murder, She Wrote. 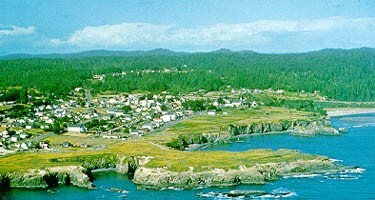 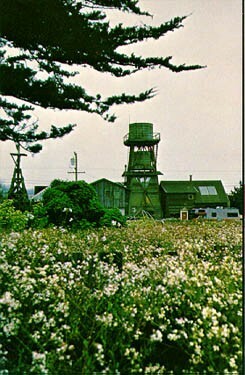 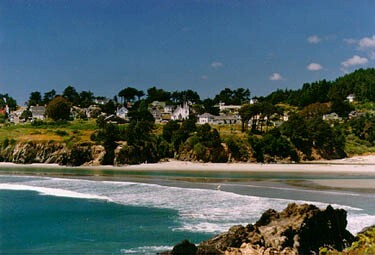 It also is much smaller than Cabot Cove, with a population of 1343 according to the 2000 census. 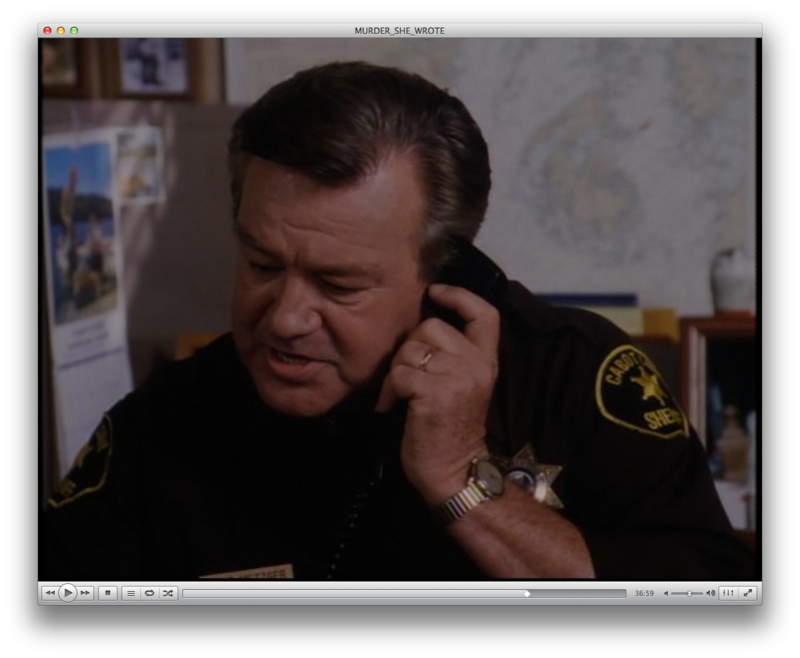 Penobscot Bay: In the episode "School for Murder" in Season 11, a nautical chart behind Mort's desk shows Penobscot Bay. 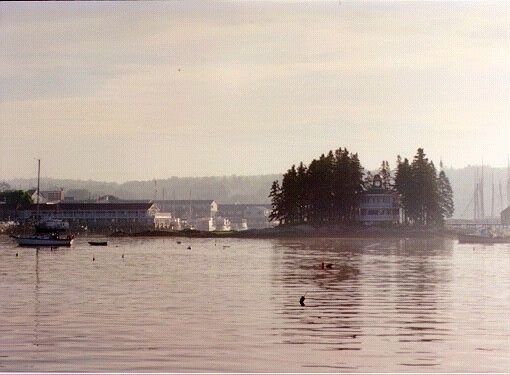 Castine is located in eastern Penobscot Bay. 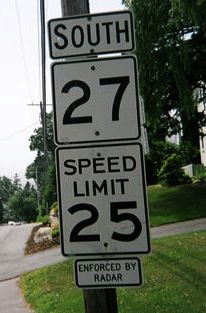 The sign post is difficult to read, even when sharpened up with a photo editing program. 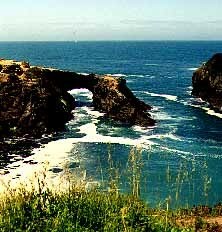 Besides Cabot Cove (5 miles away), the clearest names are Bangor (36 miles away) and Augusta (50 miles away). 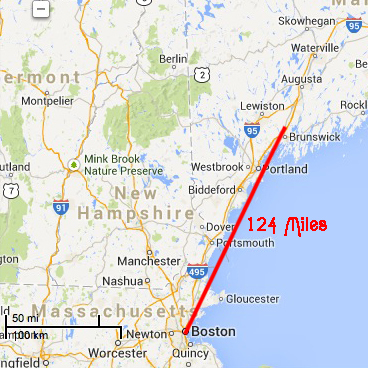 My best guess is that the top city name is "Kennebunk (4 miles away) - which makes absolutely no sense when taken together with the distances to Augusta and Bangor, so we'll just ignore that for the time being. 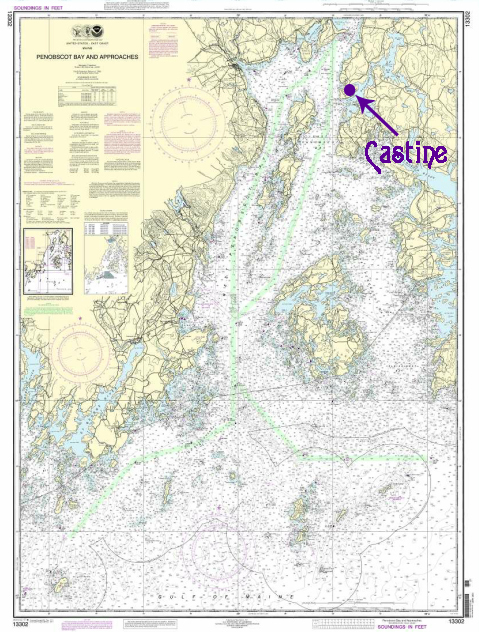 Interestingly enough, the spot where all those mileage radii cross is ... wait for it ... Castine. 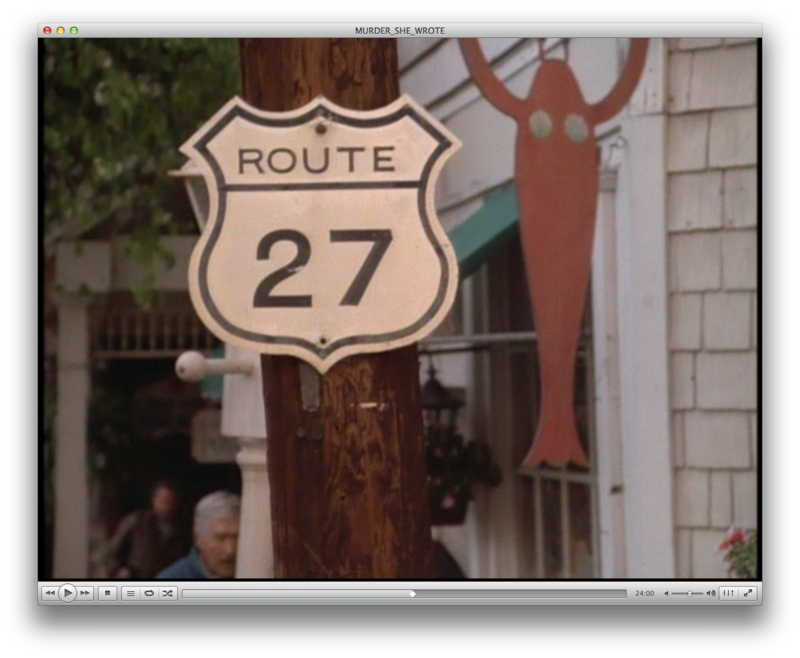 The only problem with this screen shot is that Route 9 runs nowhere near Castine. 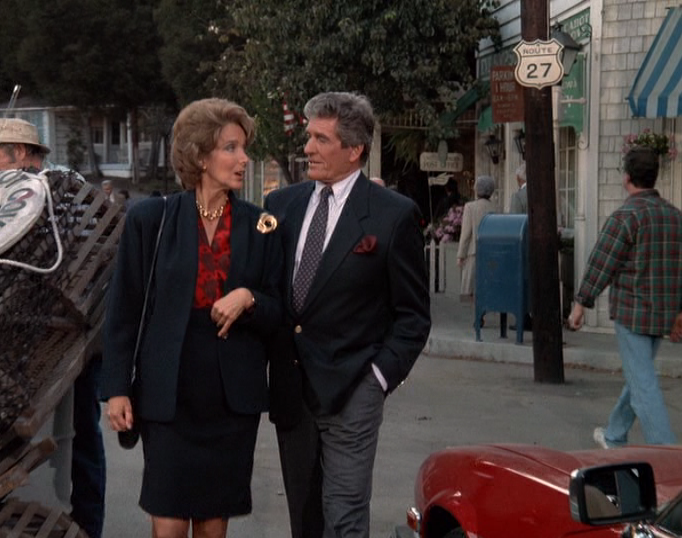 "Murder Takes the Bus": In this classic episode from Season 1, Jessica and Amos hop on a bus headed southbound on Route 1 to get to Portland. 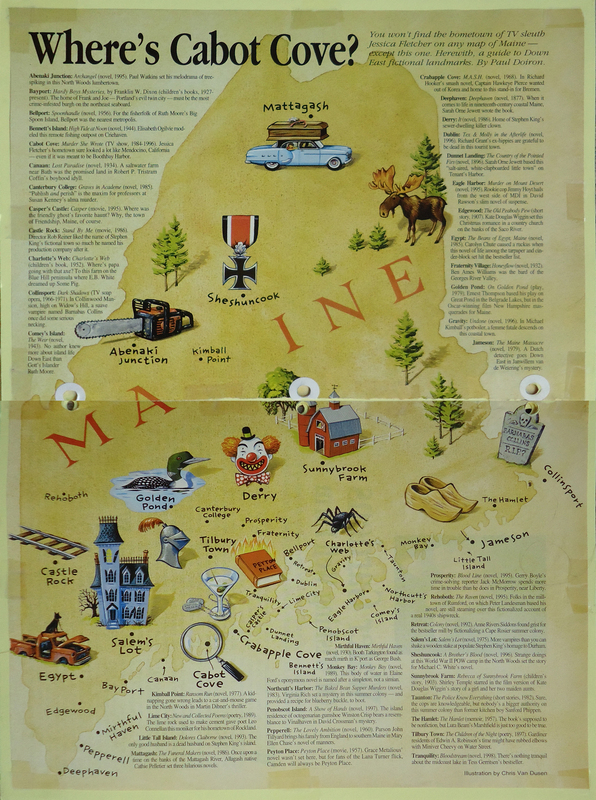 Based on the towns the driver lists as upcoming stops (i.e., Newcastle) and the fact that they pick up a passenger outside the Maine State Prison, they must have gotten aboard somewhere north of Thomaston, Maine, where the state prison was located at the time. 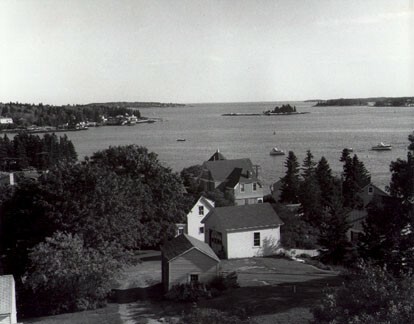 Although several other towns would also fit, this clue does not exclude Castine. 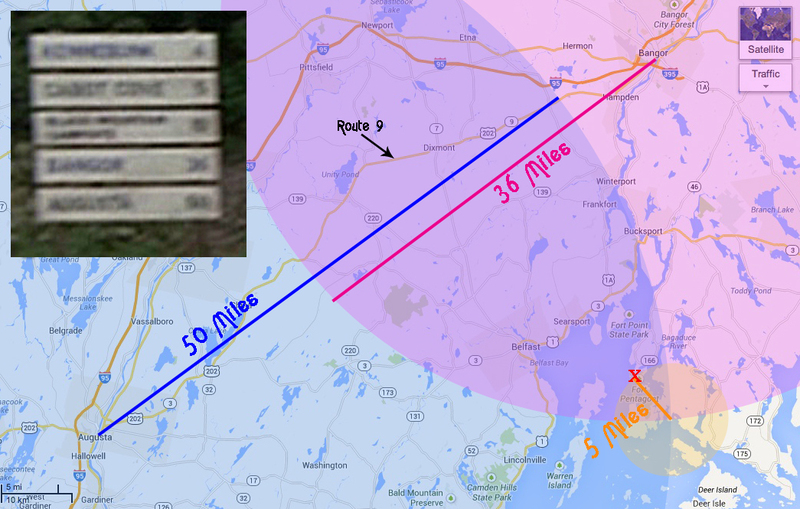 If you correct for the fact that the road isn't a straight line (unlike the one I drew on the map), then that distance works out to about the same place. 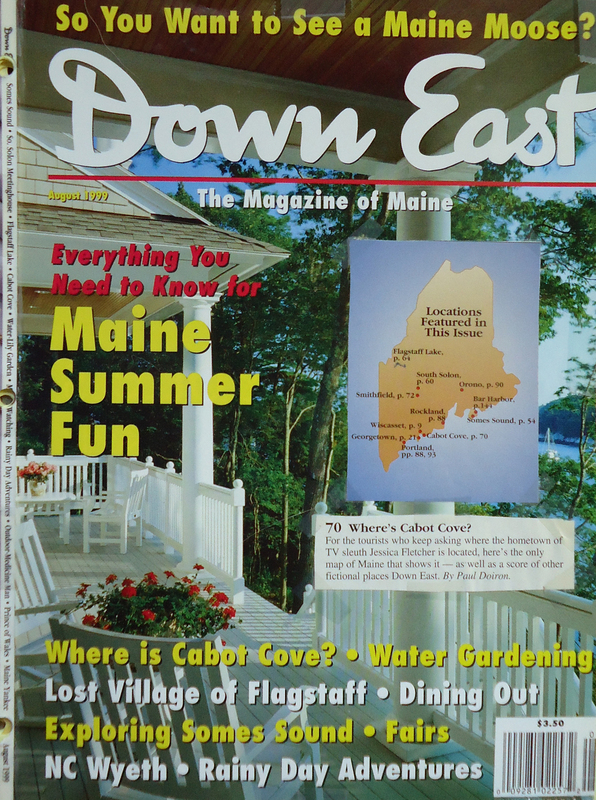 Down East Magazine: According to Down East Magazine's article "Where's Cabot Cove?" 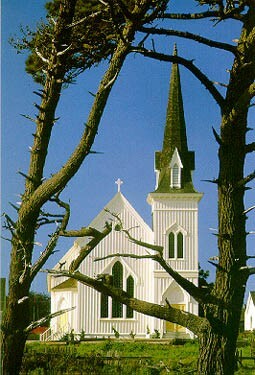 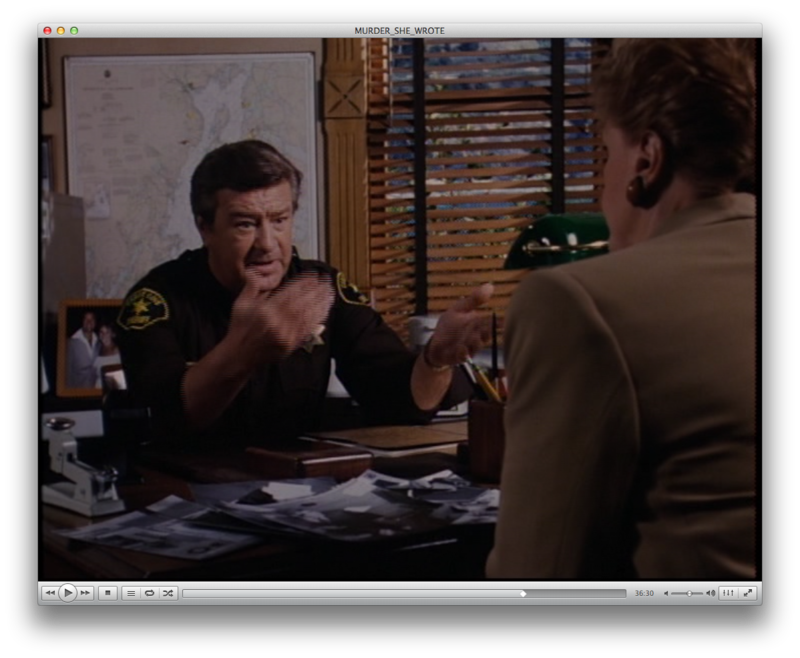 in the August 1999 issue, "Jessica Fletcher's hometown sure looked a lot like Mendocino, California ... even if it was meant to be Boothbay Harbor." 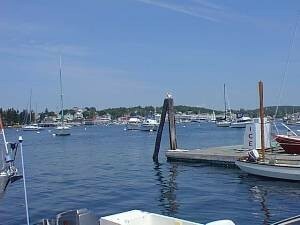 They don't say specifically why they claim this, but it makes sense: Boothbay Harbor has similar characteristics to Cabot Cove, and a roughly similar population (2,334 in the 2000 census). 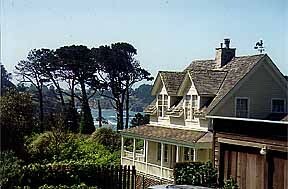 I think Down East has got it right, but decide for yourself: below are images of both Mendocino, California (Cabot Cove's stand-in) and Boothbay Harbor, Maine.